Thomas Buttersworth was born on the Isle of Wight. He was enlisted aboard His Majesty’s Receiving Ship Enterprise, moored off the Tower on 17 August 1795. On 19 August he joined the Caroline, a new frigate fitting out for sea at Deptford and was rated an able seaman at the age of twenty-seven. The following November Buttersworth was appointed a master-at-arms and in 1800 a midshipman. He was injured the same year in Minorca and sent home. Little more is known of his Naval career. Although already painting, Buttersworth’s injuries are thought to be the spur for him to become a professional artist. 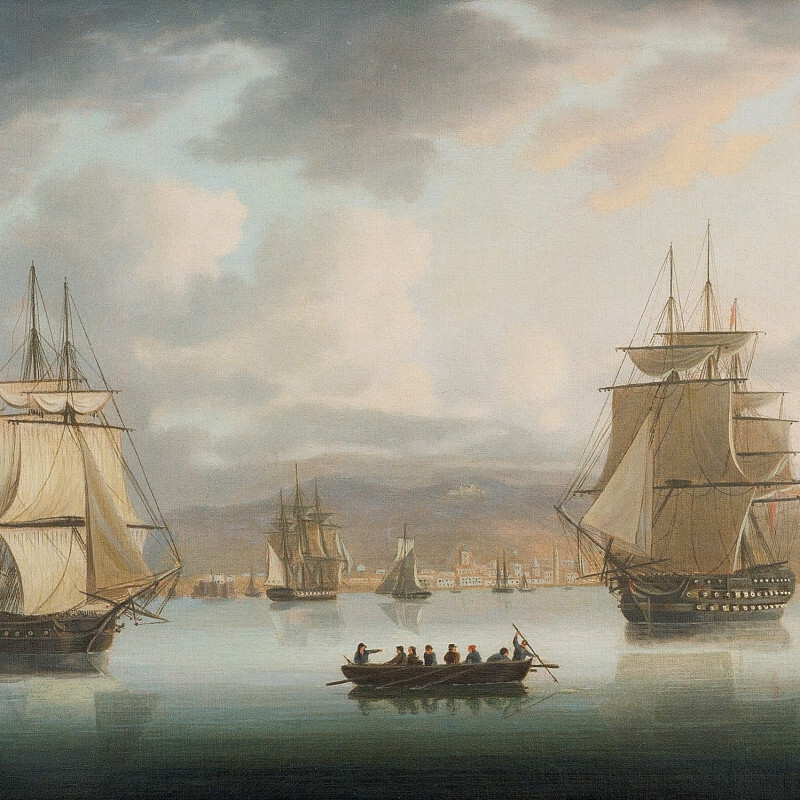 He only exhibited one painting at the Royal Academy, in 1813, of the Ville de Paris off the Tagus and one painting, the Battle of Trafalgar, at the British Institution in 1825.